“I could not have asked for a more loving, supportive, encouraging, welcoming teacher as Lesley. 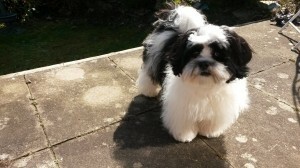 My week of one to one training with Lesley and the classroom assistant- Lord Leo- was the most blissful training experience I have had to date. I learnt a great deal and the healing/ shifts I went through has been life changing, I can safely say I now have a very useful/ powerful tool in my toolkit that will help me through this life. The energy I felt when I stayed at Rose Cottage was extremely relaxing and loving, I slept soundly which is unusual for me as I usually struggle to sleep in a strange bed! Lesley is a very interesting lady with so many stories and oodles of wisdom within her, she is a very humble teacher which just makes her even more awesome. I’m so blessed to be able to say I’ve been one of Lesley’s students. I could have stayed longer and was so sad when the time came to say good bye, but I have gained an amazing teacher and friend for life. My particular path has always been one of surrender to spirit expressing itself in different forms of creativity and inspiration. Working and playing with Sound has been part of this amazing journey of surrender always. I am here to hold a safe and high vibrational sacred space along with ‘our entourage of Light’ in order to assist you in finding your own unique essence/vibrations/sounds from within and guiding you in how best to express them. Wholeness and peace in oneself and every area of one’s life holds the space for healing to take place for self, and for the whole Universe. All the courses and treatments have this intention. 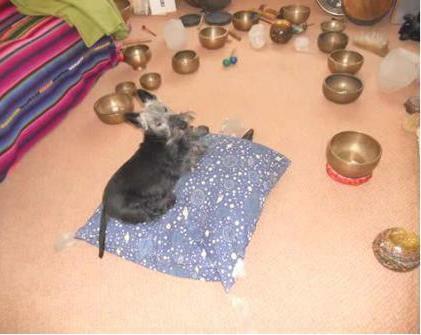 Tried and tested healing modalities which inspire me, such as Sound healing, Crystal healing and highest frequencies of Light transmissions are used. Through dreams and clear inner guidance, I have also created unique therapies and attunement processes to teach and share. Let me add… it’s important to enjoy, to have fun and to allow the light hearted, free child of wonder to be set free and play during the classes! First, I know, the wounded parts need to nurtured, healed and restored…. this, we will do..
You can be taught to use these healing methods on yourself, others, and be trained to Practitioner level if this is your calling. You can also come along simply for your enjoyment and spiritual development. The hundreds of testimonials received over the years, as well as countless miracles which have occurred during my life of spiritual service, to myself and others,including animals and birds, gives me the utmost faith and knowing, that Light will slowly but surely, heal all hearts. In turn, we will awaken to full awareness of who we truly are. 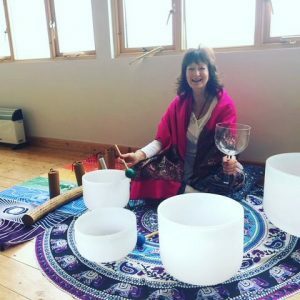 A bit about Lesley Carol: Lesley has been a professional singer/guitarist/songwriter, from the age of 15, who spiritually awakened at an early age and through divine guidance, was led to work as a Spiritual channeller/teacher/speaker and therapist based in West London – working in the UK and Internationally. She was a speaker and demonstrator of Crystal & Sound Healing at the Spiritualist Association of Great Britain in Belgrave Square, London, once a month for three years. She also worked at St James’ Church., Neal’s Yard, Covent Garden, and was high profile at the time when crystal healing was just starting. 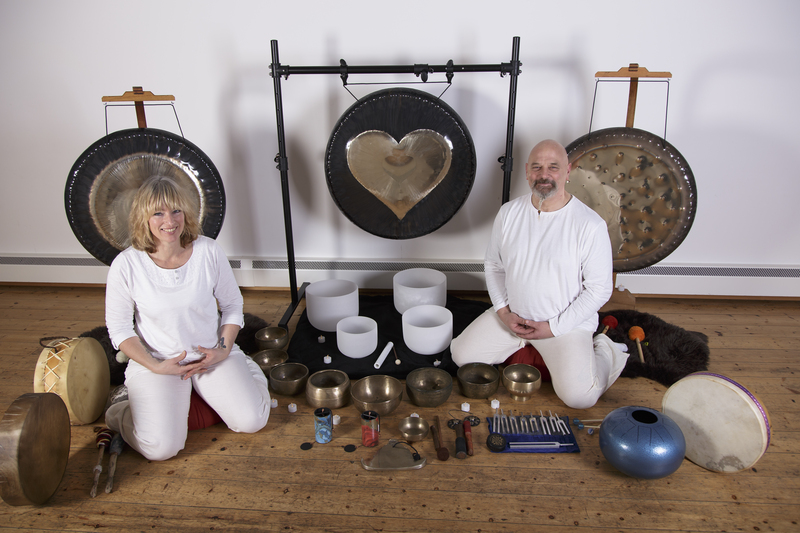 Very little was known about sound healing at that time and now it’s so heartening to see how the interest in both modalities is spreading far and wide. 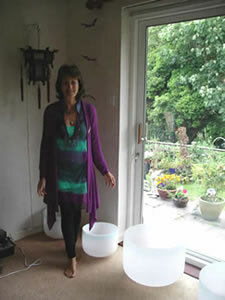 Lesley has trained and worked with many of the top Sound Healing teachers all over the world. Some alive and some who are now in spirit. 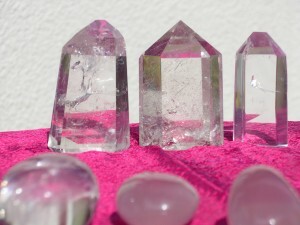 Is a fully trained and qualified Crystal Healer Teacher, full Sound healer Teacher, Hypnotherapist/PsychoAnalyst, writer, songwriter, Past Life Regression & Inner Child Master class therapist & teacher, Reiki Master Teacher, Sekhm Teacher, DevaLightTM Founder/Teacher., CrystalSonic RejuvenationTM Founder, Creator & Teacher. She now enjoys living in a peaceful, idyllic place of nature, by the sea, in South West Somerset, UK, whilst working and sharing her wealth of experience, wisdom and spiritual gifts to those who are drawn to her energies, courses and consultations on a mainly one to one basis. A safe, nurturing space is provided for each person, with their very best interests at heart. Everything is completely confidential with no judgments. Full personal attention on a one to one basis, in pairs or in small groups is given, so that each person can embark on a deep, fulfilling journey with whichever healing modality sings to their heart and soul. Most of the courses and consultations are available by Distance Learning. The College has trained hundreds of students all over Great Britain and in all corners of the world who are now first class, caring, successful Practitioners. Most of them not only have successful practices either full time or part time, but also volunteer their services in Hospices, helping children with special needs, childrens’ hospitals, mental health patients, Cancer and Aids clinics, Animal rescue centres, animals, the elderly, the infirm, dementia patients…. 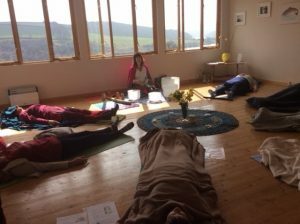 in fact no-one seems to be missed out, and many Practitioners who are able to, run free healing centres in order to help and be of service. We all join as one mind to help to hold and promote peace and wellbeing for our self and all sentient beings, as well as for our beautiful planet and Universe. 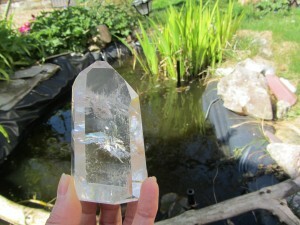 The Crystal and Sound Healing Diploma course is by Distant Learning/Online and is very popular and extremely successful. As well as receiving a Practitioner’s Diploma upon successful completion of the course, it is also perfect for your own personal development. This course is not just about Crystals and Sound. Please note, it is not an academic course. It is a deep voyage of discovery about YOU, as the healing properties of each crystal reflect and open you to the Light that you are. As you wake up to your true divine essence, so you hold this vibration and radiate it wherever you go. 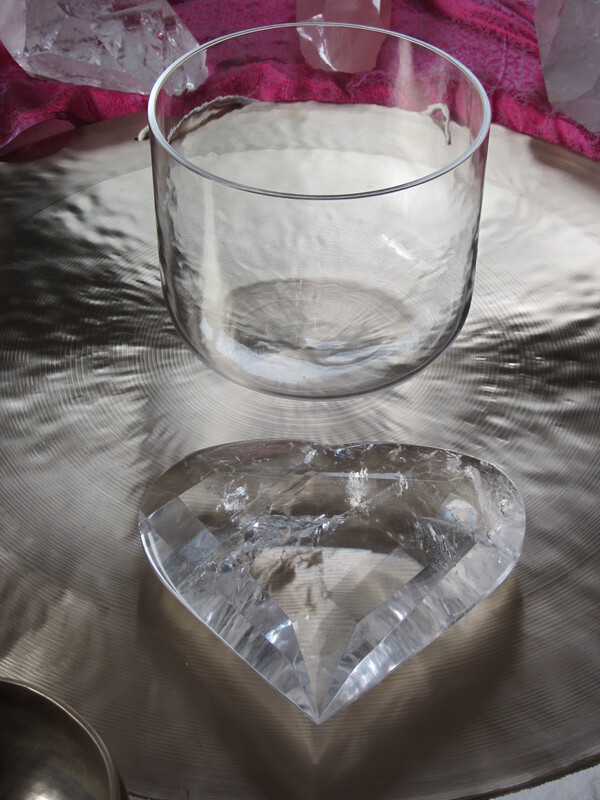 Exercises and guidance in the modules will show you how to pass this on to others and become a successful, inspiring Crystal and Sound Therapist Practitioner. On a more down to earth level, with the Crystal and Sound Healing Distant Learning course, you will discover insights and realisations about yourself and your life. Clarity and revelations will occur which can be life-changing in the most positive way. Please ask if you wish to see testimonials or know more. For the popular CrystalSonic RejuvenationTM courses, please click the button at the top for ‘Rejuvenation’. These courses are ongoing throughout the year and are also successfully completed by Distant Learning. A list of Atlantis College qualified Practitioners throughout the world is in the throes of being updated and entered on the ‘Practitioners’ page. Become a qualified Practitioner in your chosen therapy at Atlantis College, to enable you to give treatments to others and to build up your own professional practice. You will have the ongoing support and security of choosing to be a professional Member Practitioner of Atlantis College and being advertised and featured in brochures and on this website. Or choose to do the course for your own enjoyment, to give yourself treatments….no exam, no case studies to do… just giving yourself the priceless gift of ‘radiant, glowing youthfulness and health and wellbeing on all levels’. I can only highly recommend the sound healing course at Atlantis College. 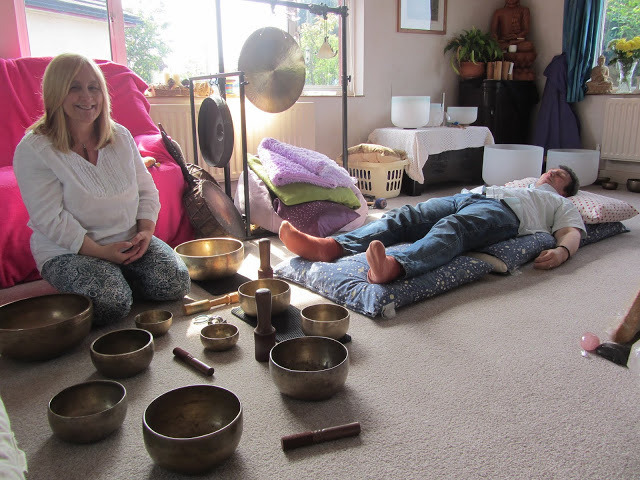 It has taken me on a magical journey of self discovery and Lesley has created such a beautiful, safe, high vibrational space. With Lesley’s, love, support & encouragement, it truly is a place where one’s Soul can soar. Cheryl Torrance, 29 July, 2014, U.K.
Sound Healing course – October, 2013Sarah B. 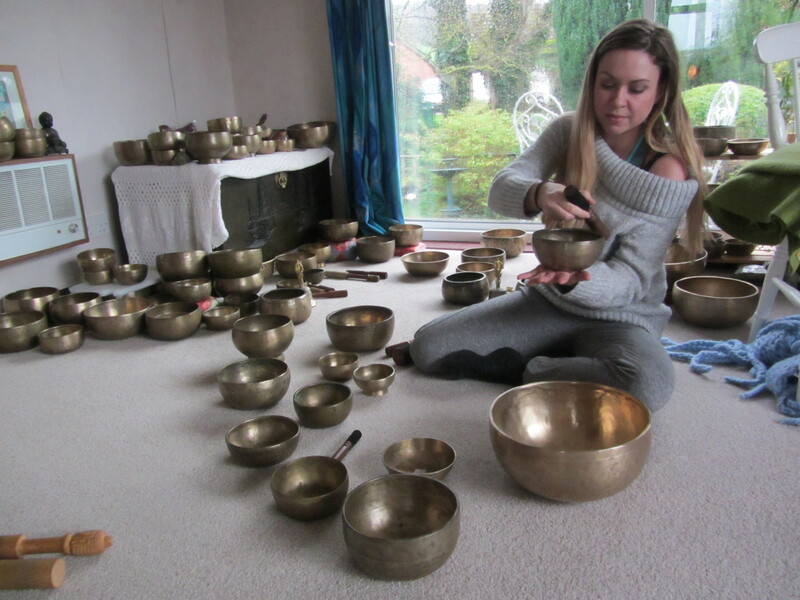 Sound Healing Course – November 2013 – Laura K.
Sound Therapy is wonderful. It made me feel deeply relaxed. It’s a lovely experience. I attended the Sound Healing Course at Atlantis College with Lesley and all I can say is WOW and AMAZING!